Grab a pal and defend that darn grid already! The Xbox One version of Hidden Path Entertainment's Defense Grid 2 is featured as part of this week's Deals With Gold lineup, giving you a chance to save some cash on one of the platform's best co-op strategy games. Normally priced at $24.99, Defense Grid 2 is available to Xbox Live Gold subscribers this week for only $6.25. 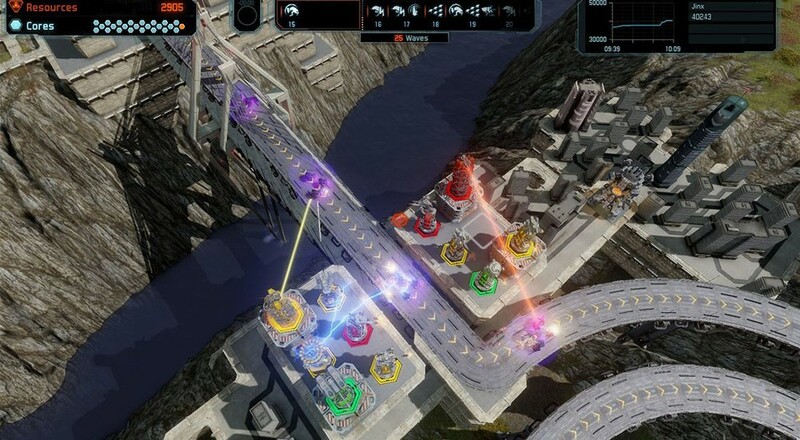 Defense Grid 2 lets a team of two players tackle any of the game's maps in a pair of included co-op modes: Defense (in which players split resources) and Doubles (which features shared resources). Defense Grid 2 supports couch co-op in addition to an online multiplayer mode. This week's sale price remains in effect through April 20th. Page created in 0.5556 seconds.